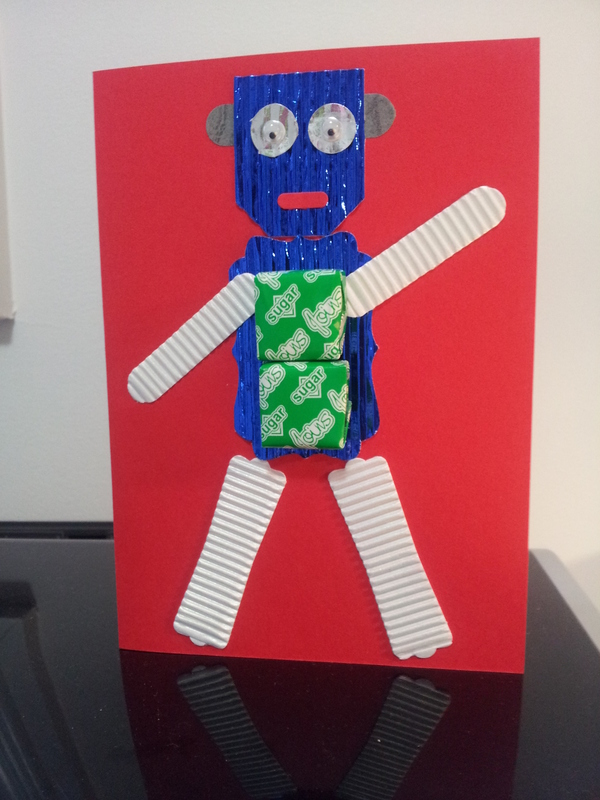 I while ago my little boy was invited to his friend’s robot birthday party. 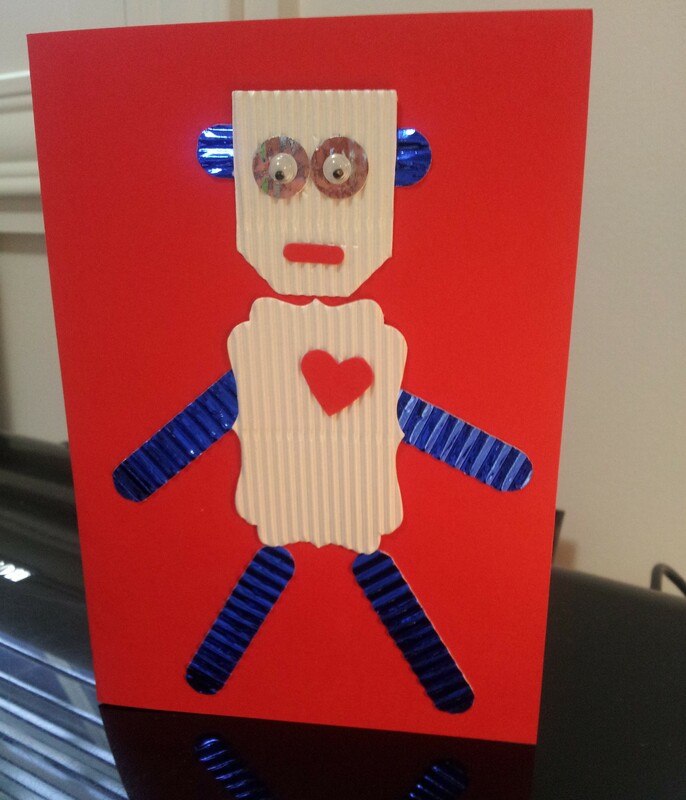 So of course me being me, I had to think of a cute little robot card I could make for him. After a bit of hunting around on Google, I saw this cute little card by Teneale Williams (someone else who’s blog gives me lots of great inspiration). 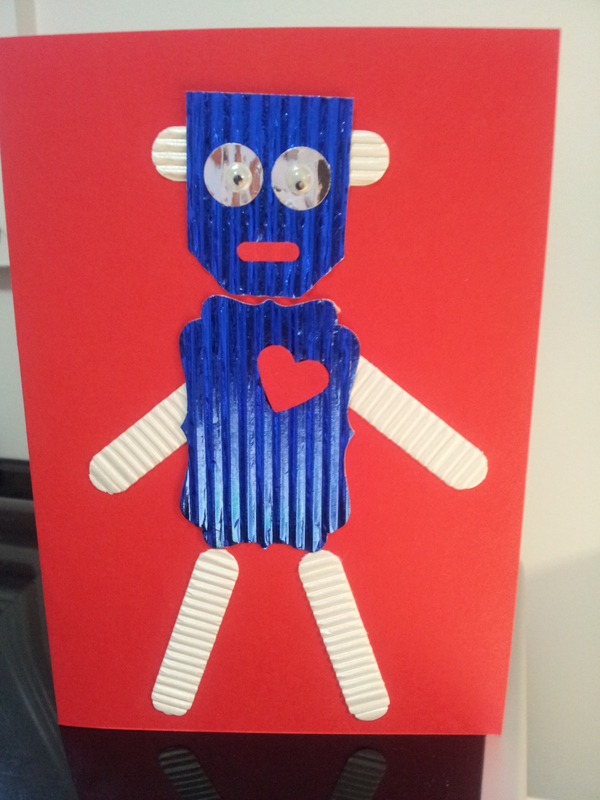 I used some corrugated paper I found at a $2 shop as it seemed to be very ‘robot-ey’, but normal card stock would work too. Eyes – I used the eyes from the Owl punch with some googly eyes stuck on, but any small circles would work. For decorations I used the Small Heart punch, the heart and waistcoat from the Owl Builder punch. One one of them I stuck lollies on the body. These were so fun to make I soon had a little robot army! 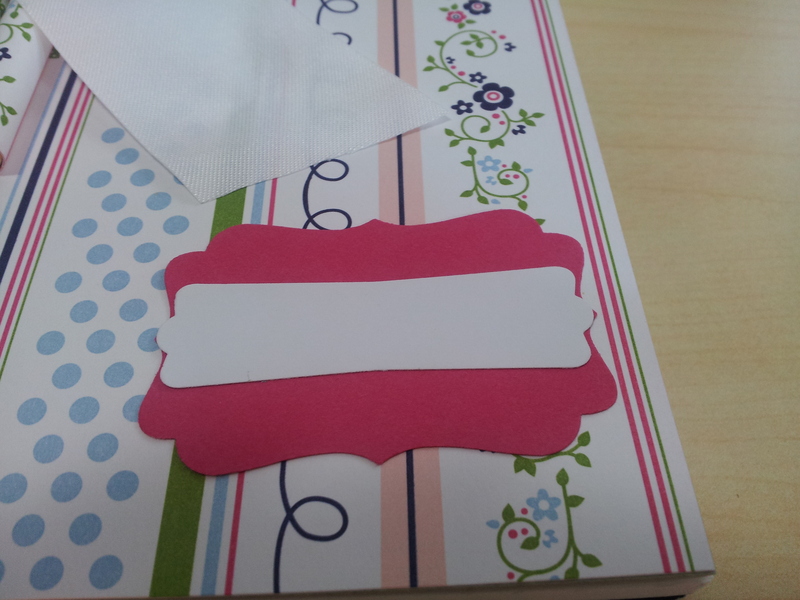 So far I’ve focused on little projects and ideas for using up left over pieces of pretty paper. If you’re anything like me though, you probably have a pile of paper that you have been saving for a rainy day, because it’s too beautiful to throw out, or because you haven’t quite figured out what to do with it. Today’s post is a suggestion for a simple card layout that can use up some of that gorgeous paper by turning it into cards. These cards are really easy – if each one takes you 10 minutes I’d be surprised! Probably more like 5 once you get the hang of it! 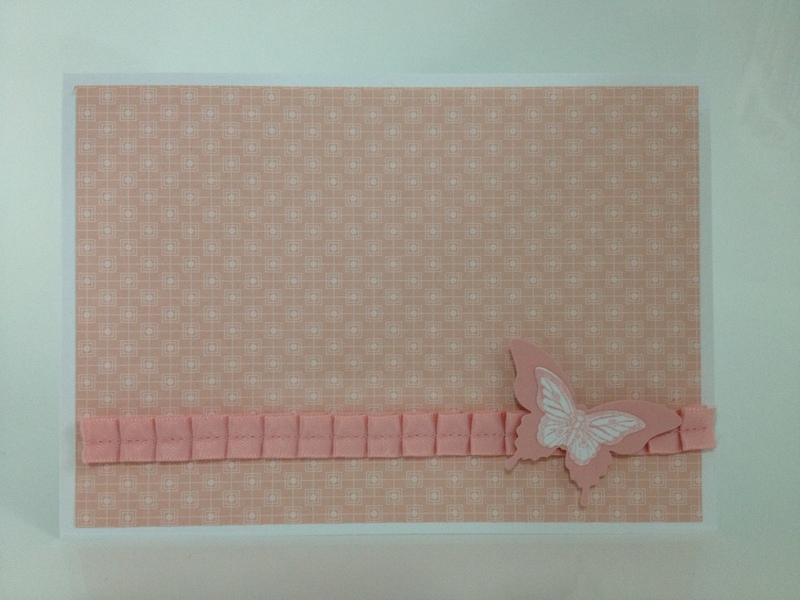 This Soft Suede card is 14 cm x 14cm. The Pool Party background is 13 cm x 13cm and the DSP (from the free Everyday Enchantment set from Stampin’ Up!’s 2012 Sale-a-bration) was 12.5 x 12.5cm. 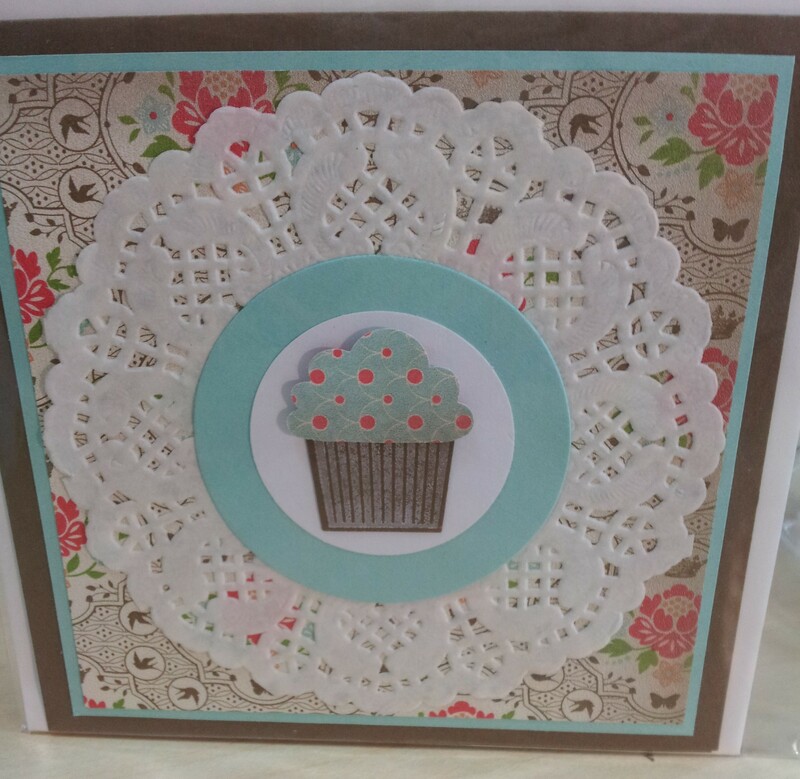 I added a doily, a Pool Party and Whisper White circle and used the Cupcake punch and matching stamp set to make the centre embellishment. The great thing about this card layout though is that it can work with pretty much anything in the middle. Here’s another one with a Fancy Flower in the middle. Pretty much any flower, heart or circle punch would work, as would a butterfly. 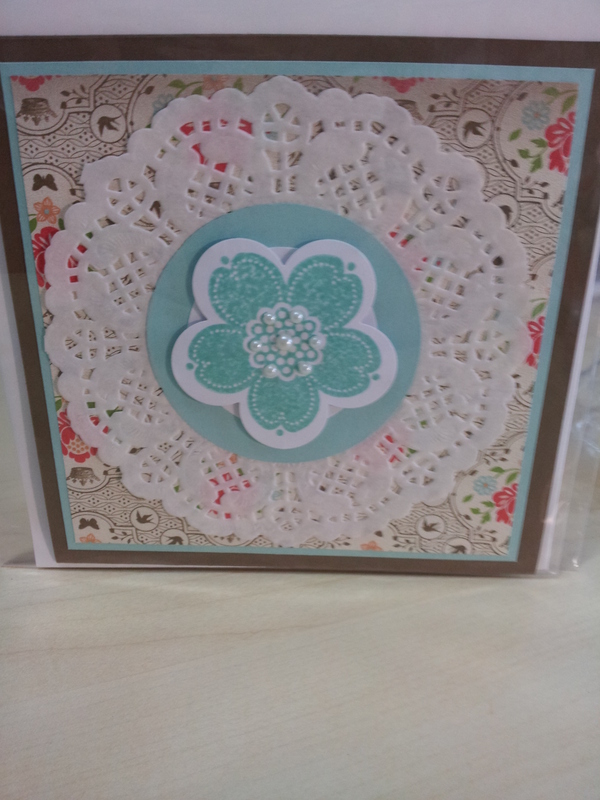 You could also turn it into an age birthday card by adding some die cut numbers in the middle. The possibilities are endless really! 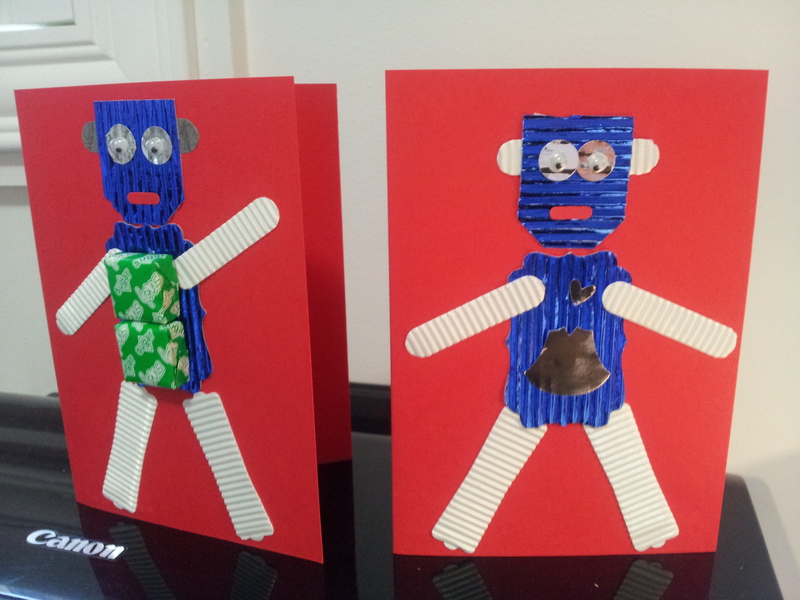 The other day I showed you the invitations I made for my son’s 4th birthday party this year. I’ve already had some great feedback about how excited the kids were to open the card and see a big ball pop up! 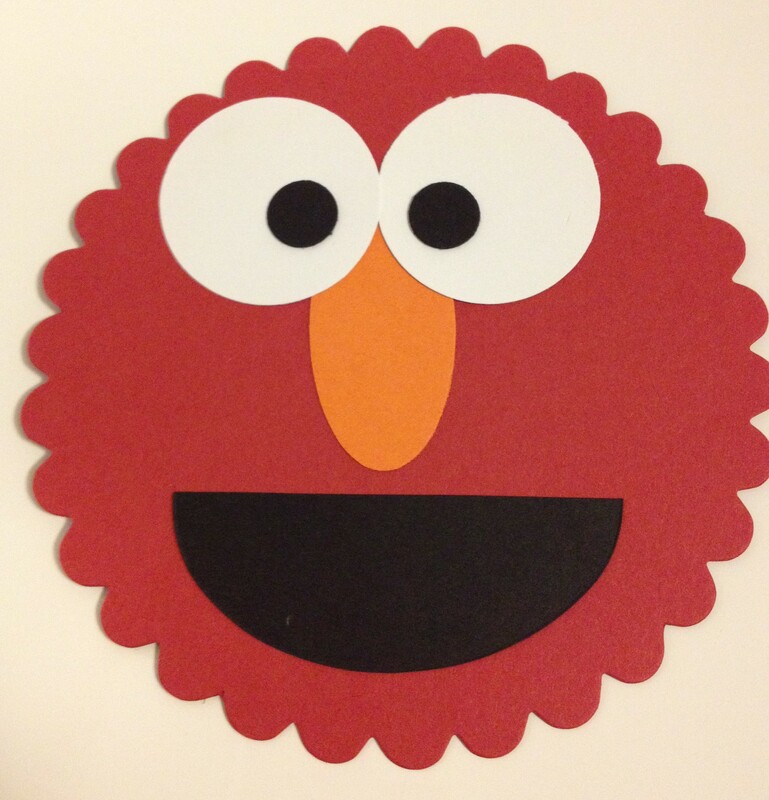 That all reminded me of an invitation I made for his birthday party when he was 2 and obsessed with Elmo from Sesame Street. I used the Stampin’ Up! 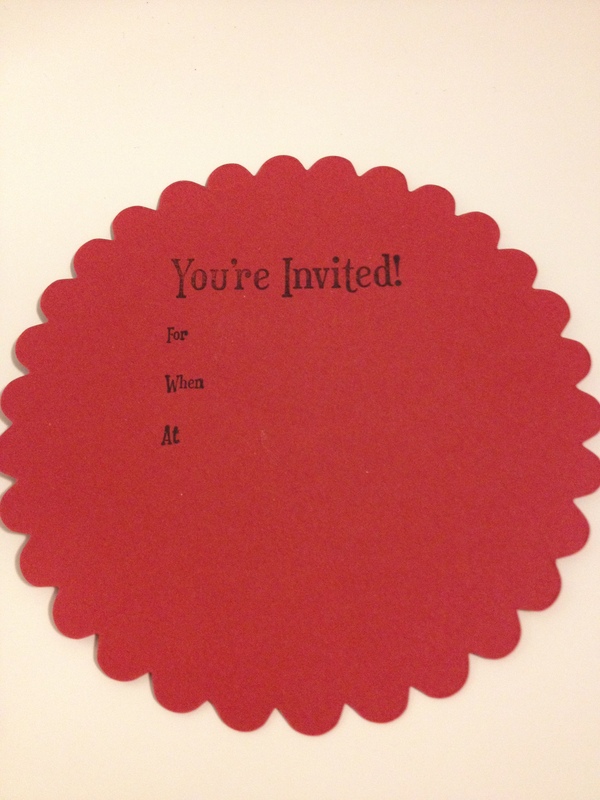 Scallop Circle Die with my Big Shot to cut out all Riding Hood Red circles for the invitations. The white eyes were cut from the Circles #2 die and I think I used my smallest circle punch for the black centres (you could also use the larger circles from the Stampin’ Up! Owl Builder punch). The nose was cut from Tangerine Tango (but Pumpkin Pie or More Mustard would also work). The black mouth was half of the largest circle from the Circles #2 die. I stamped a basic invitation block on the back and I was done. Too easy – and the kids adored them! The other day I showed you how to make mini notebooks covered with DSP. 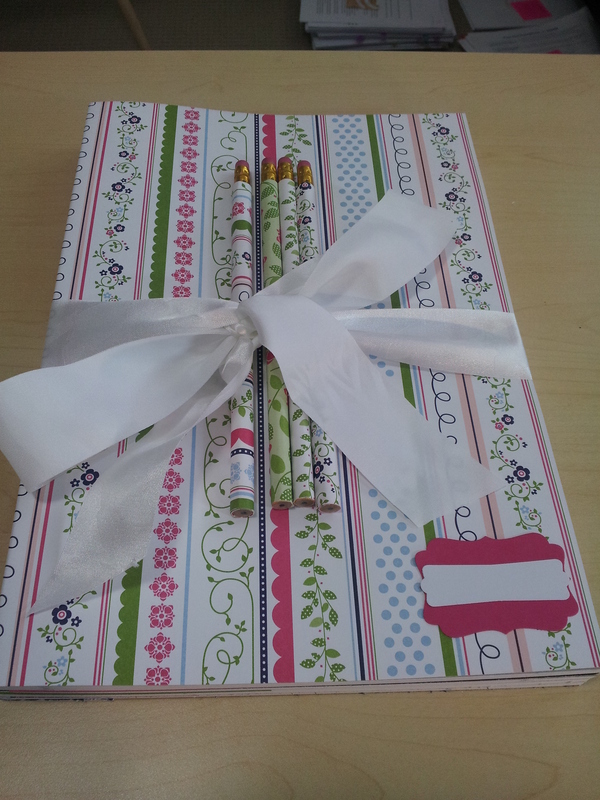 Today I wanted to show you how effective it can be to take ordinary A4 exercise books and decorate them with DSP. This was a little present we gave to a family friend who was starting university. I covered a bundle of A4 exercise books in coordinating DSP and covered some matching pencils. I made a label where she could write her name or a subject name for each book. The larger pink label is punched out in melon mambo using the Stampin’ Up! Decorative Label punch, and the smaller white label is punched out using the Stampin’ Up! Modern Label punch. To make the covered pencils, measure the distance between the end of the eraser and the beginning of the wood at the bottom. Cut a piece of DSP to that width, with enough length to wrap around the pencil 2 or 3 times. 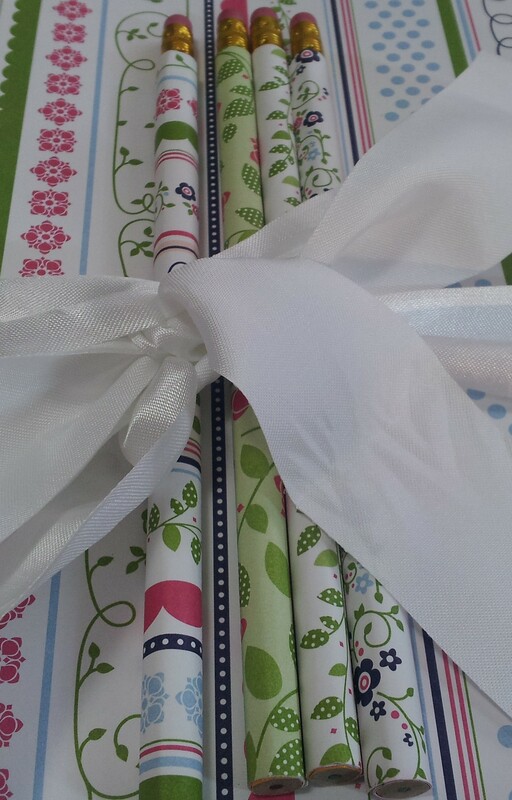 I’ve found it’s easier if you wrap the paper around the pencil a few times before trying to glue it on – it just works a bit better when you come to stick it down if it’s already a little bit “bendy”. I run a line of Sticky Strip (double sided tape) along the edge of the paper which will be the last to stick down and use Snail adhesive to cover the rest of the DSP and stick it as I wrap around the pencil. 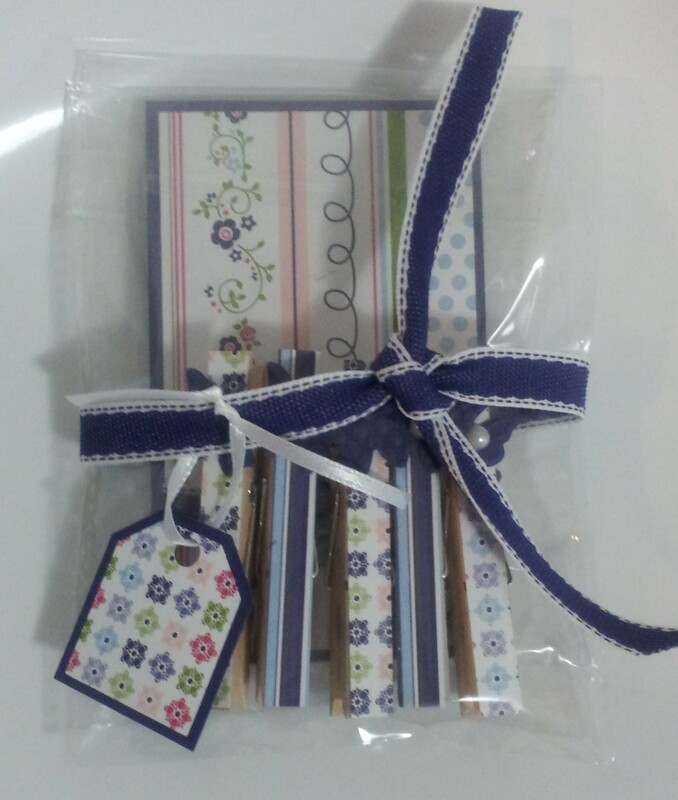 This is a really nice idea for a simple gift for someone – particularly someone like me who loves their stationery! 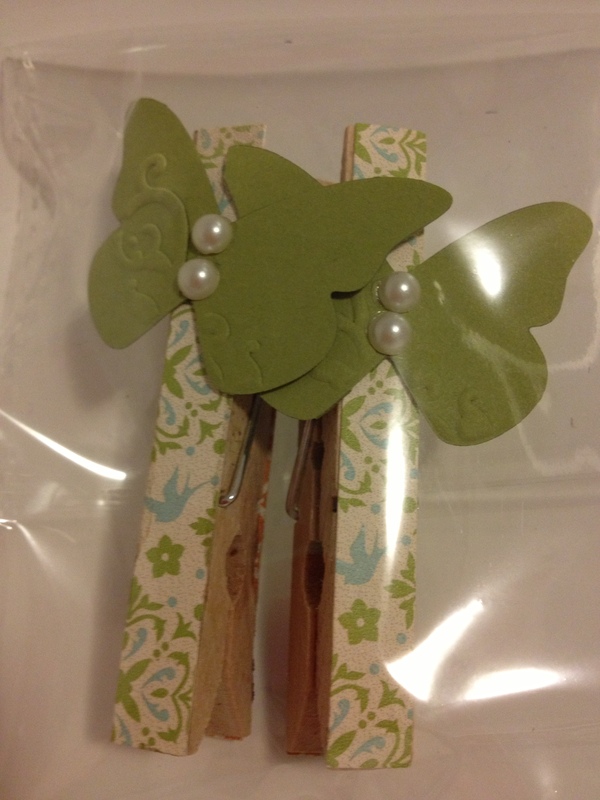 Here is another idea I borrowed from the very talented Tanya Bell’s blog – this time, making magnets or paper holders out of pegs covered with DSP. These are so easy to do! Step one, measure the size of your peg (cheap wooden pegs are the best). Step 2, cut out lots of strips of DSP (this is such a great way to use up tiny little pieces you couldn’t figure out what to do with but couldn’t bear to throw away!). Step 3, stick onto the peg! Snail adhesive works well but starts to lose its “stick” after a few months so double sided tape like Sticky Strip is best. I turned my pegs into magnets by sticking some magnets onto the back side of the peg. One tip I learned here – if you want to use the peg as a magnet, either don’t decorate the reverse of the peg, or definitely use sticky strip to adhere the DSP to the paper. Snail adhesive is not strong enough to keep the DSP stuck to the peg once it is stuck on the fridge with a magnet! 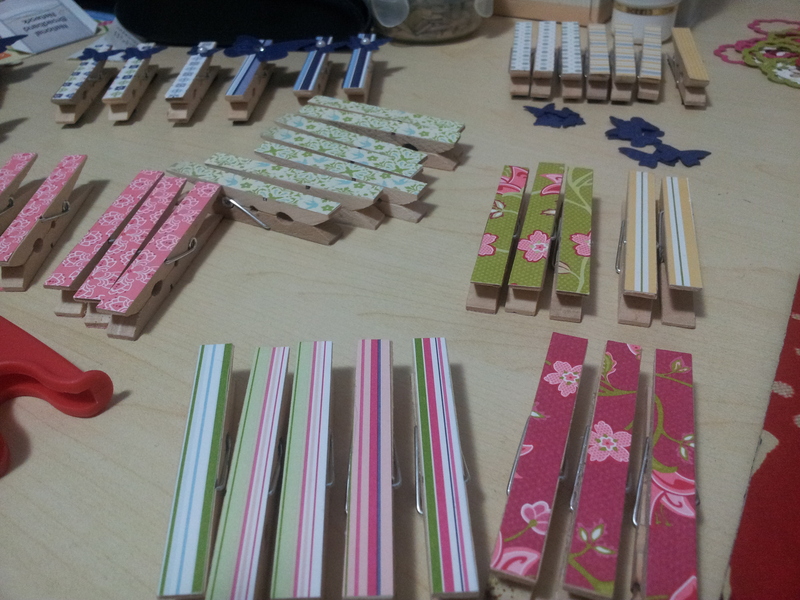 Here are a bunch of pegs with the DSP stuck on, waiting to be decorated. 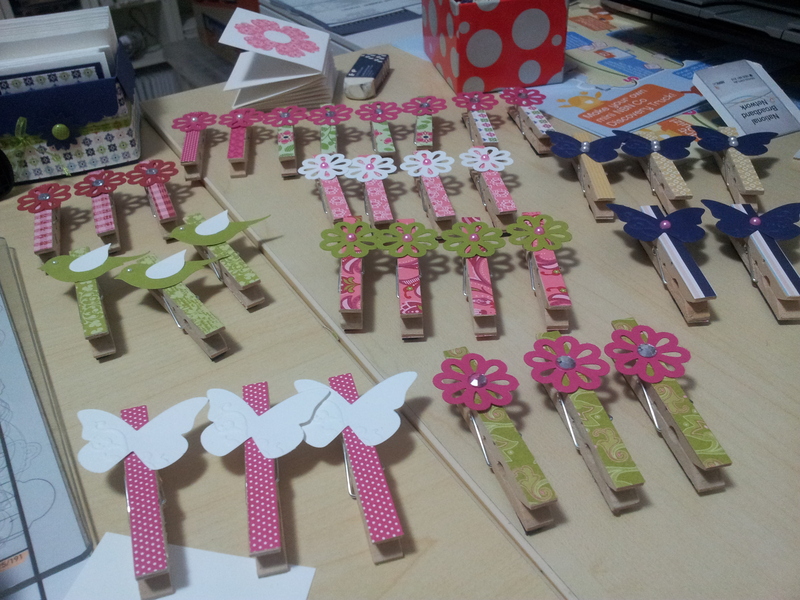 And here are a bunch more, after being decorated with butterflies, birds and flowers. 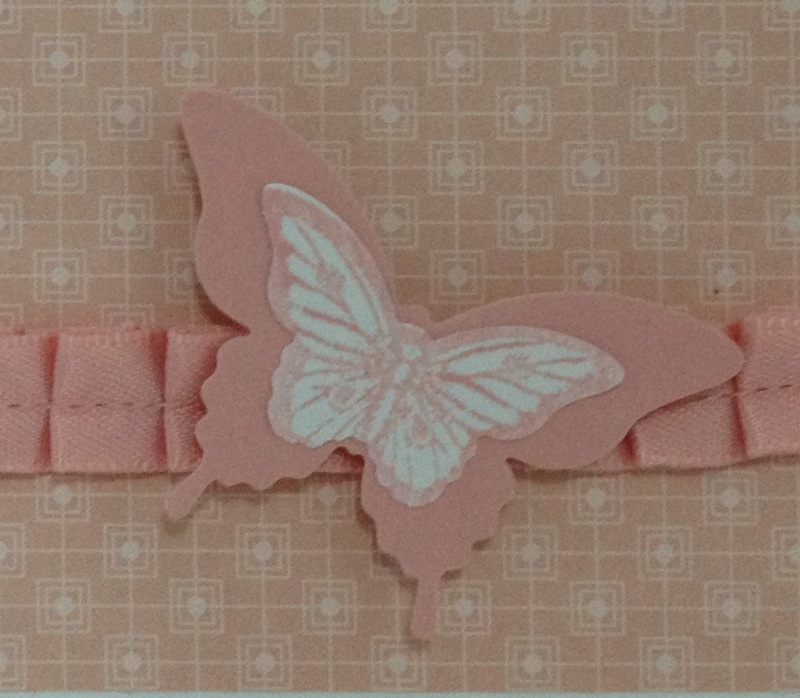 I’ve used die cut and punched butterflies, the bird from the Stampin’ Up! bird builder punch, and various flower punches. Pearls and rhinestones can add some added ‘bling’. 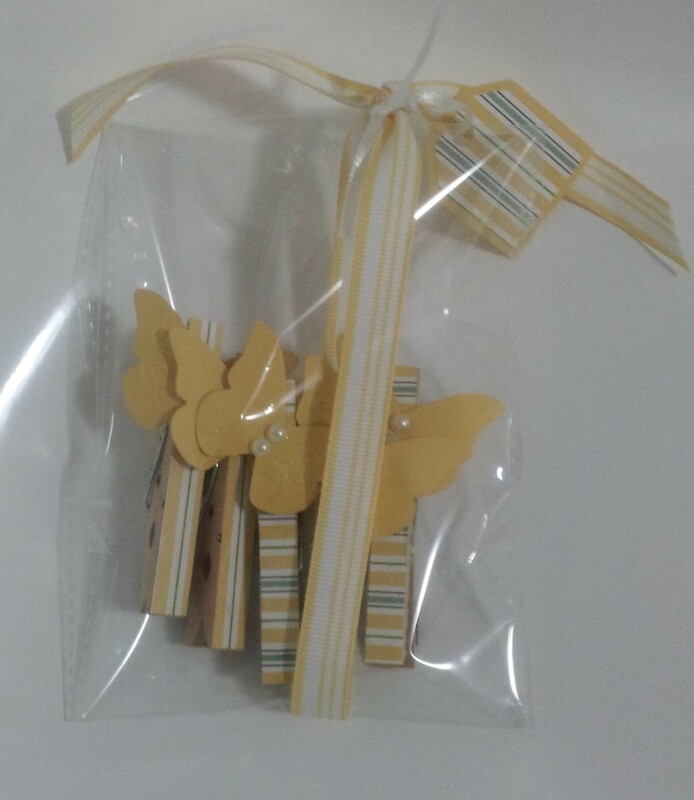 They can look quite cute packaged up in cellophane bags for a small gift for someone. 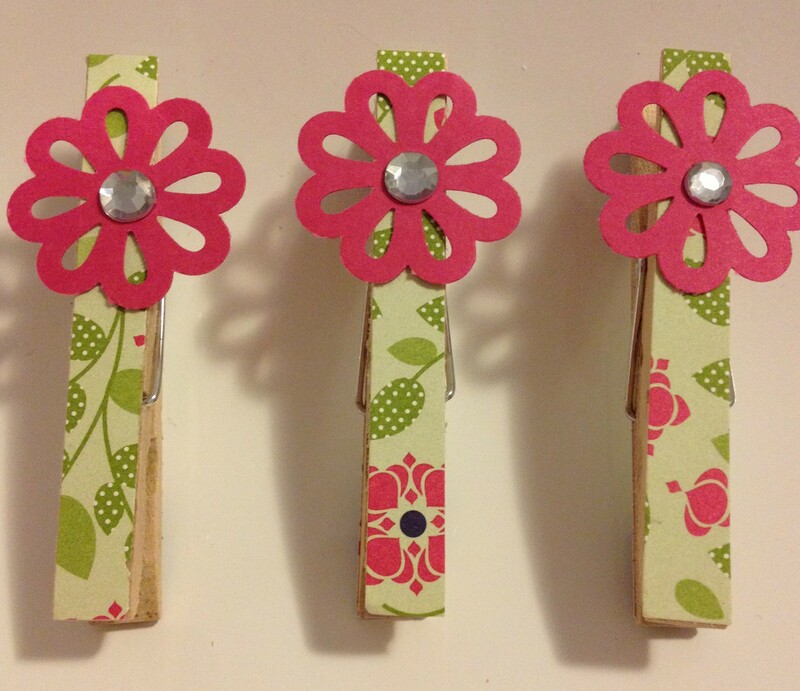 Adding some pegs with a little covered notebook (see yesterday’s post) can also look really cute. So next time you finish a project and have a thin piece of DSP left over, why not turn it into a cute little peg fridge magnet? Hi. Thanks for stopping by my blog! I wanted to show you another cute use for some bits and pieces of DSP (designer series paper) or other pretty scrap paper you have lying about. I got this idea from the very talented Tanya Bell, who posted some gorgeous covered notebooks, as well as a YouTube tutorial on how she made them. I get a lot of inspiration from Tanya’s blog, so encourage you to check it out. I made mine a little differently, but the basic idea is the same. I bought some little notebooks from a $2 shop (I think I got 8 little books for $3?). Rather than covering the books just with DSP like Tanya’s tutorial, I wanted to make the cover a little sturdier so covered it with card stock first and then decorated with rectangles of DSP. Fold and make sharp creases on the score lines. I use a bone folder to get a really nice crease line. 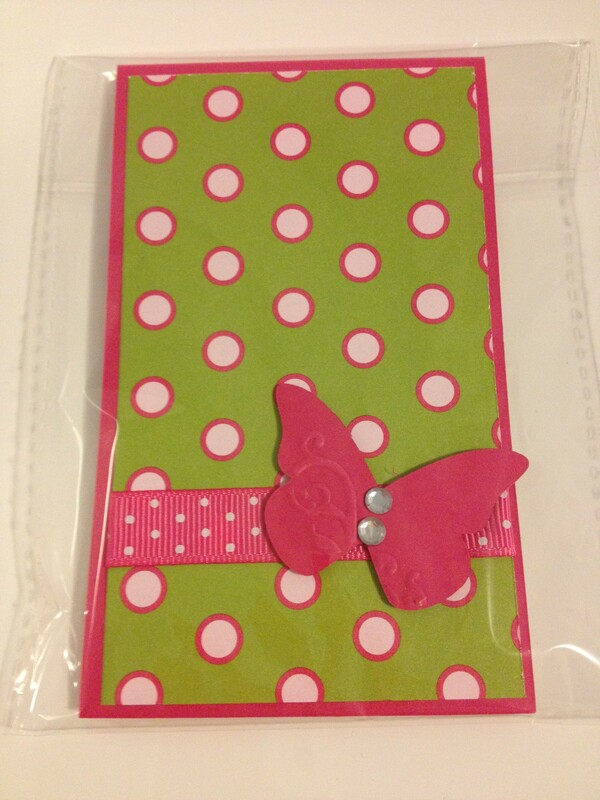 Attach the card stock to the front and back covers of the notebook and stick down over the spine. You can use glue (eg Snail adhesive) to do this, but I found that using Sticky Strip (Stampin’ Up!’s uber strong double sided tape) gives a stronger hold. To decorate the cover I used some leftover DSP and the snail image from the Button Buddies stamp set, with a button on the snail attached with a glue dot. I have made these notebooks with all sorts of decorations. Butterfly punches can make them look especially gorgeous! 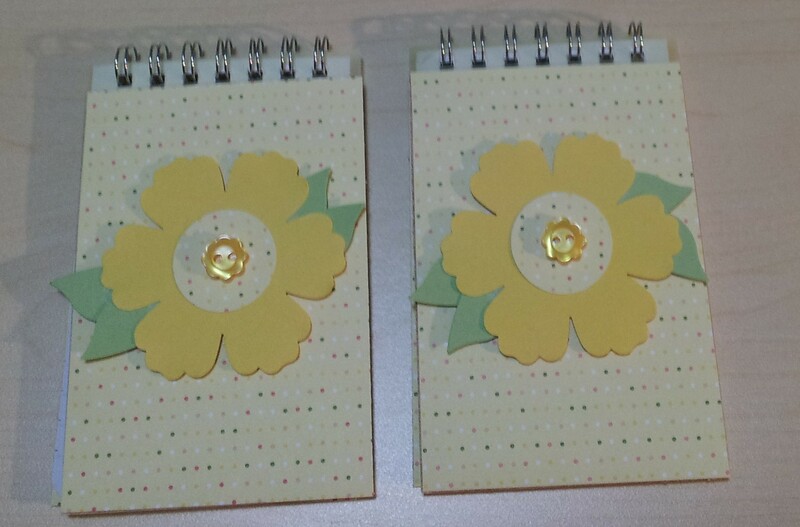 I have also used DSP and various punches and stamps to decorate plain spiral notebooks. These are super easy – just measure the front of the spiral notebook just to the edge of the spiral, then cut and glue on the DSP. I decorated these ones with the Stampin’ Up! Blossom punch in Daffodil Delight card stock, and I used the wings from the Bird Builder punch to create leaves. 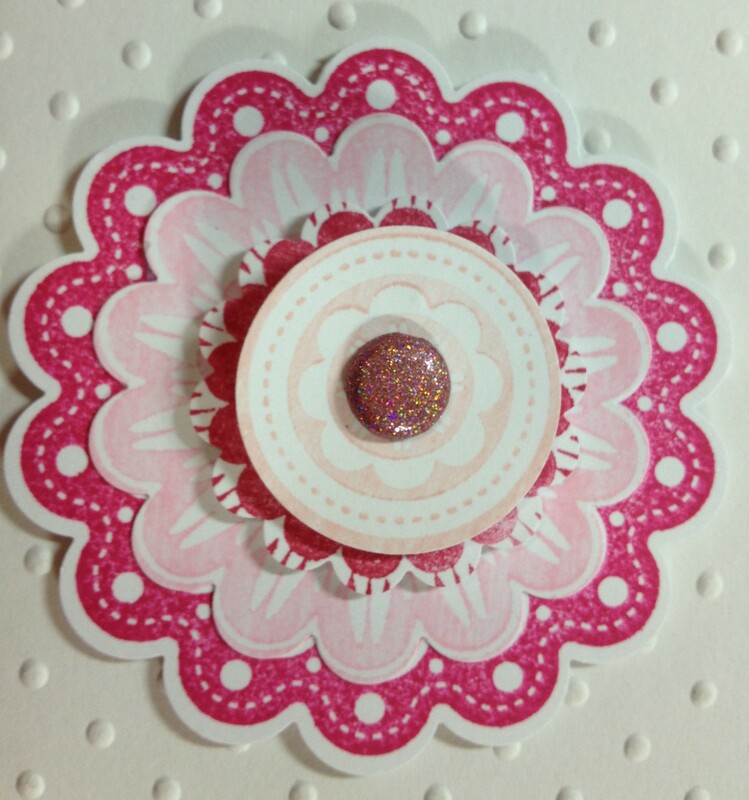 A 1 inch circle punch made the centre of the flower and a cute button in Daffodil Delight finished it off. These are so easy to make I hope you have a go. I’d love to see a photo of anything you make! 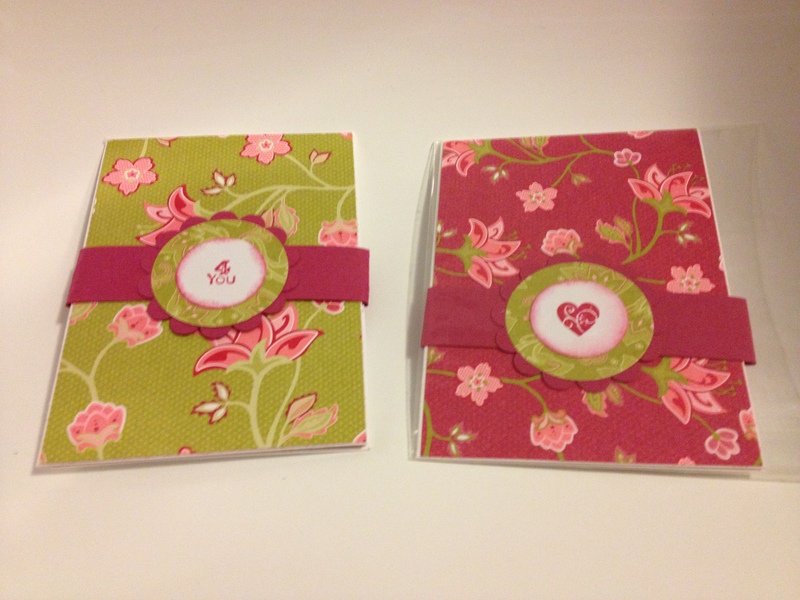 I hope you saw my post on Thursday showing you how to make gift card holders out of envelopes. These are some of my favourite things to make – so quick and easy but always get a ‘wow’ from the person who receives them. I mentioned in the post I also like to make them out of florals, spots, stripes etc. I was just sorting through some photos and found a couple of some gift cards I made a year or so ago so thought I’d share them too. Continuing my recent mission on using up paper from my enormous stash, my son and I recently decided to make some flowers I can keep in my office all the time. We used a variety of Stampin’ Up! 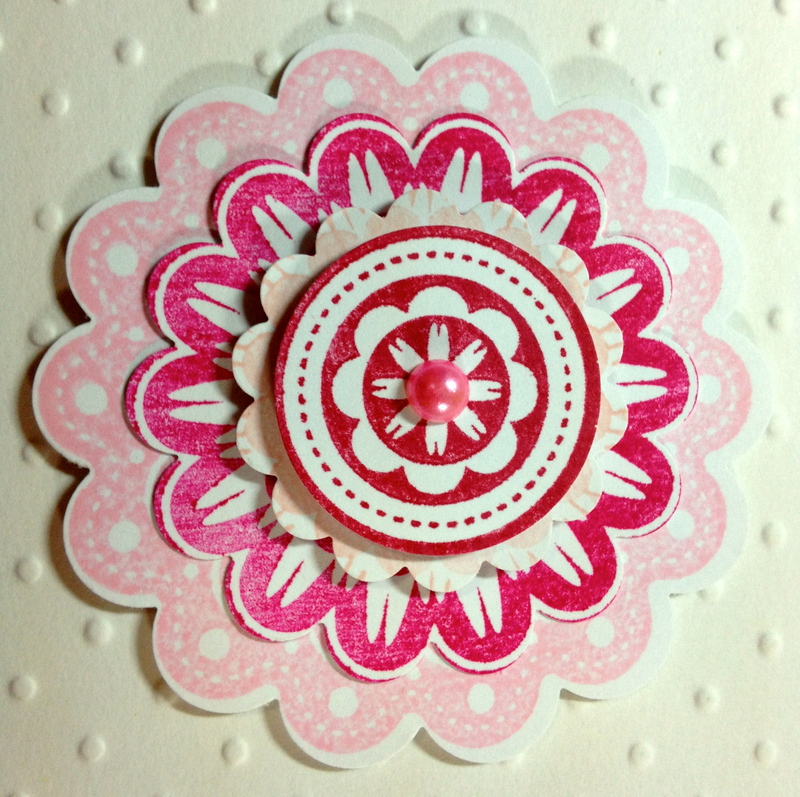 punches – Blossom, Fancy Flower, Boho Blossoms, and various scallop and circle punches as well as some die cut flowers. 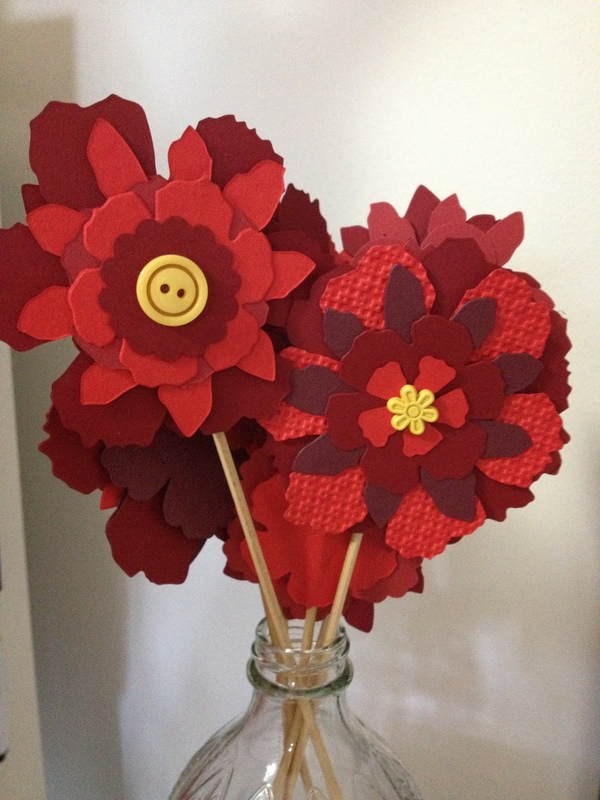 Stick them all together with glue and dimensionals to make flowers, and finish off with a button or brad in the centre. We used Riding Hood Red, Cherry Cobbler, Bravo Burgundy and Poppy Parade (retired) card stock. I attached these to ordinary kitchen skewers and put them inside an old vinegar bottle which had lovely leaf designs built into the glass. Mr 3 is very pleased with the flowers in my office! 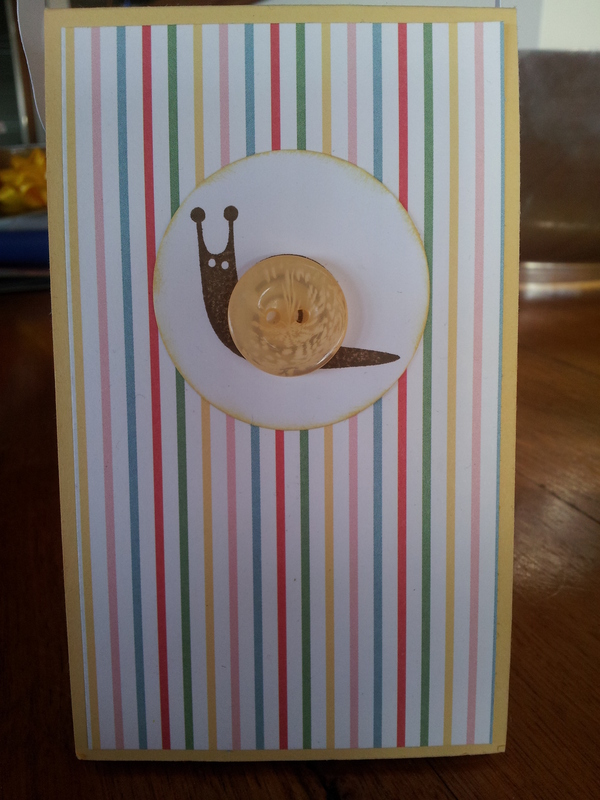 I needed to make a birthday card very quickly the other day so I thought I’d show you what I came up with. 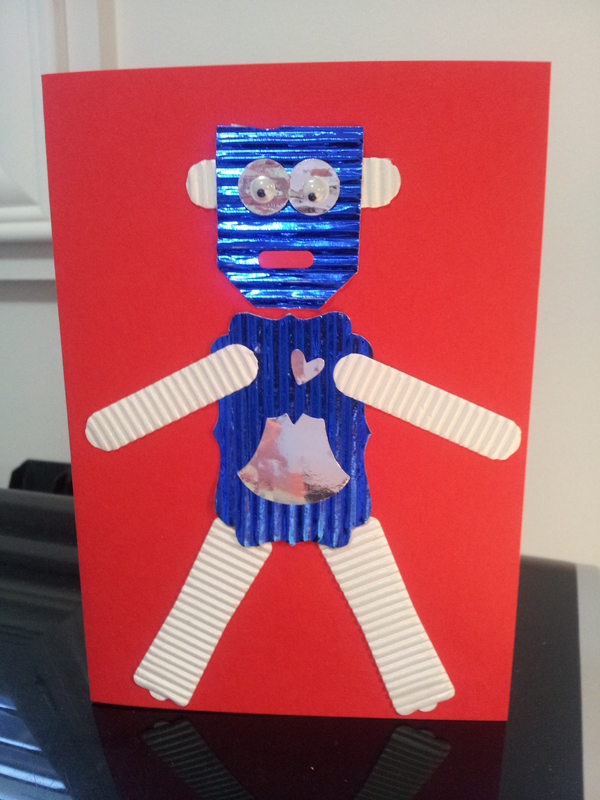 It was so easy to make this card I made a few at a time. 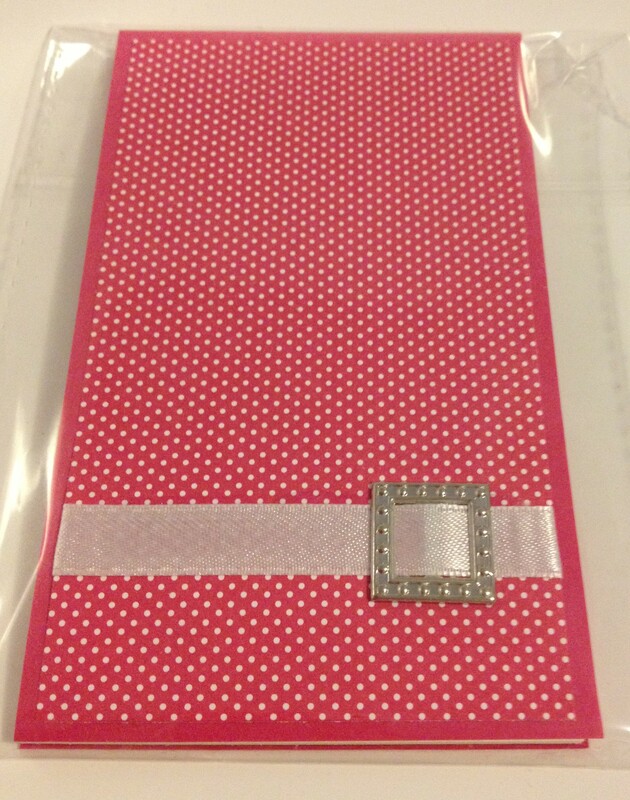 I just used various shades of pink C6 cards and added some Whisper White (10cm x 14.2cm) which I’d embossed with my Perfect Polka Dots embossing folder. I stamped a bunch of images from the Stampin’ Up! 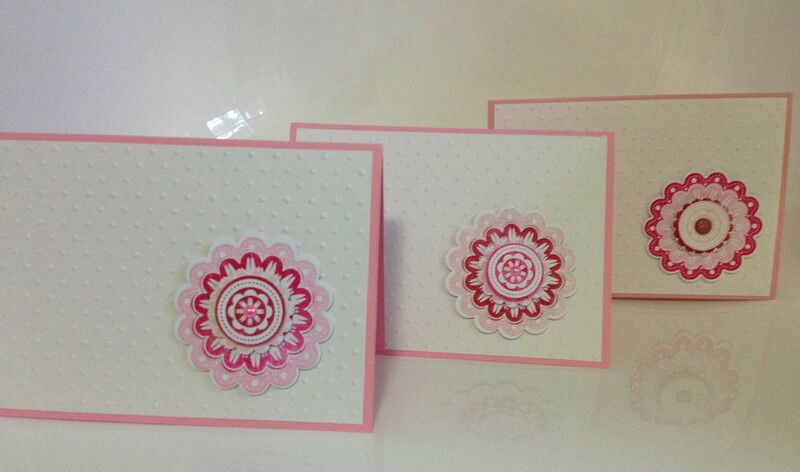 quintessential flower stamp – in Pretty in Pink, Blushing Bride (retired but about to return! ), Rose Red and Melon Mambo. I then punched out at least one colour each of the various flowers/circles in the image using my 2 3/8 scallop punch, 1 3/4 scallop punch, mini scallop punch and 1 inch circle punch. Then just mix n match, layering up with Snail glue and dimensionals. I popped a Glimmer brad and some pink pearls I found at a $2 dollar shop in the centre, but you could also use pearls and rhinestones. Here’s a close up of some of the flowers. 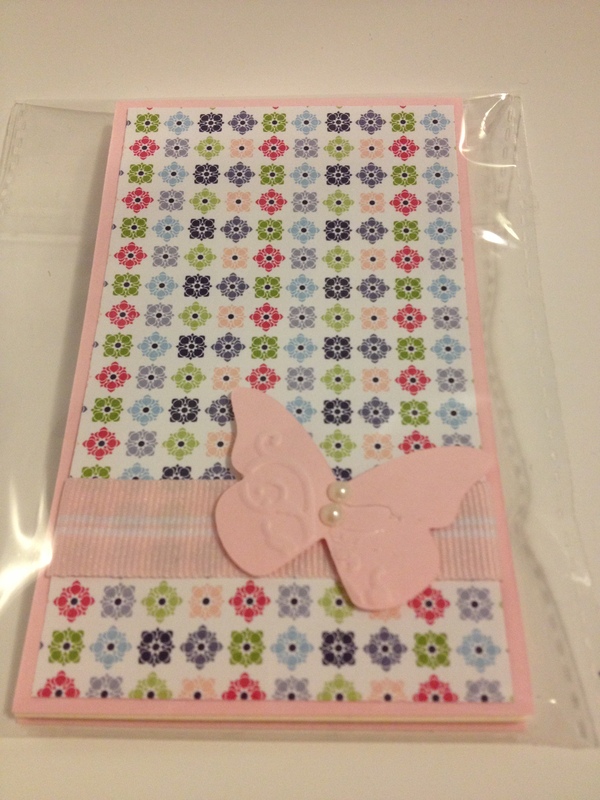 I think they would also work really well on gift tags or even stuck directly onto a gift wrapped present. Looking at these pictures I think next time I use this flower I am going to have to put some bling in those little dots around the edge of the widest flower! Today’s post is a good example of how you can keep things simple but I think still get a very striking result. I’ve used Whisper White card stock with a rectangle of Blushing Bride DSP (retired, but Blushing Bride is coming back in the new Stampin Up catalogue, yay!) to make the basic card. I also stuck on some (retired) Blushing Bride ruffled ribbon.